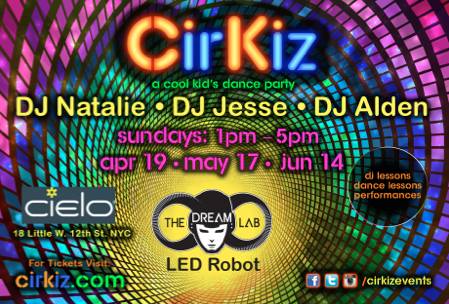 CirKiz, New York’s premier family dance party, kicks off its Spring Series on Sunday, April 19th at Manhattan’s CIELO nightclub. 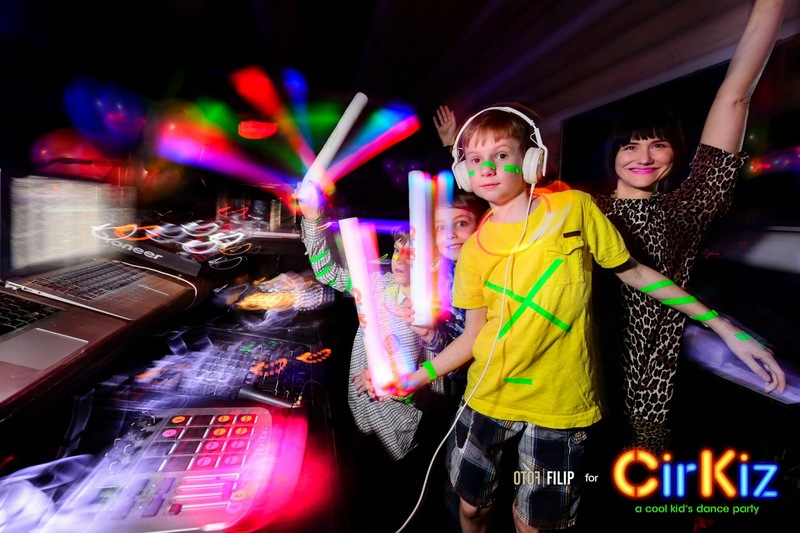 CirKiz provides young people with the opportunity to experience the brilliant sights and sounds of a nightclub in a safe and controlled daytime environment. 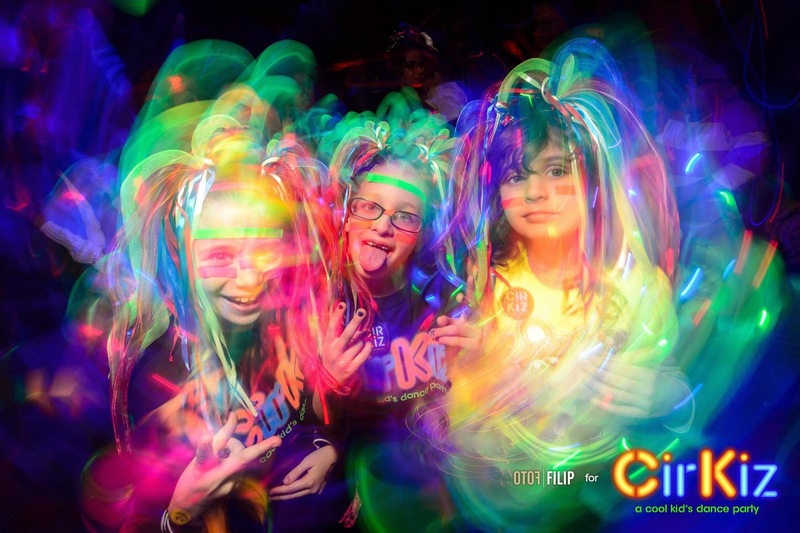 CirKiz inspires imagination and encourages self-expression, helping kids discover their own personal connection with music and dance. EDM provides the soundtrack, the kids that make the party. DJ Natalie, founder of Baby DJ School, will be offering free DJ lessons from 1-2pm along with providing the soundtrack for the opening set of the party. 9-year-old DJ Alden will be giving another refreshing set from his youthful perspective on EDM – joined as always by his father DJ Jesse. The CirKiz Dancers will perform and provide free dance lessons from 1-2pm. There will be fashion and dance contests with prizes provided by RUUM American Kid’s Wear & Scratch DJ Academy. To purchase tickets, please visit: http://cirkiz.com/events/. Special birthday party packages are available as well. The CirKiz Spring Series will take place in 2015, the first on April 19 and following up with events on May 17 and June 14.